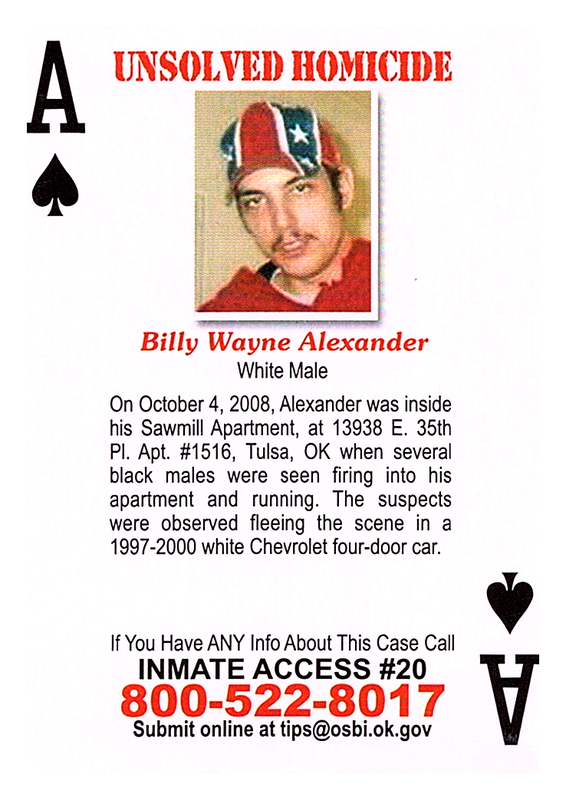 On October 4, 2008, Alexander was inside his Sawmill Apartment, at 13938 E. 35th Pl. Apt. #1516, Tulsa, OK when several black males were seen firing into his apartment and running. The suspects were observed fleeing the scene in a 1997-2000 white Chevrolet four-door car.